Whether you have started writing a blog for your existing business or blogging is your business, it is one of the best ways to get more exposure online. And others make it seem so easy! Just write a few posts and the traffic starts flooding in. If only it was that simple. Today’s bloggers face many roadblocks that can get in their way. And as this type of marketing continues to grow, the hurdles you need to jump over will only become higher and higher. But, like most things, mastering the art of blogging is one that can be learned if you approach it the right way. Too Much Competition – Every day there are literally hundreds of new blogs out there. The competition is steep making it difficult to stand out from the crowd. No matter what niche you are in, there are bound to be dozens of others with the exact same concept. How do you make yours the one that shines? TRY THIS: One of the worst things bloggers do is try to compete in a broad and condensed market. Begin by focusing on the smallest niche possible within your industry. Master that space and then begin expanding. Keeping Up With Social Media. If you aren’t promoting your blog on social media, you probably aren’t too successful. Social media is a must when it comes to sharing your latest blog posts. And each site offers its own unique advantage. But staying consistent on all can make you feel like you are juggling a thousand balls at once. TRY THIS: There are many apps that will assist you in managing your social media marketing quickly and effectively. For example, Tailwind can help keep your Pinterest account posting at peak times. You can also take advantage of the many other scheduling tools available to ensure your presence is always available online. Adjusting With Ever-Evolving Algorithms – Ranking high in Google and Instagram and Twitter is important. But with the constant changes in algorithms, what worked one day can send you quickly to the blacklist the next. Ever-evolving algorithms can have you scrambling to always keep up when blog writing. TRY THIS: Unless you work directly in the marketing field, staying current with algorithm changes can be a daunting task. Enlist the help of a professional to keep you on track and ranking high. Lack of Time to Write – Curating good content takes time and effort. It is not a job that can be done in fits and spurts. And not all business people are good writers. Sometimes lack of time and lack of experience collide leading to posts that are less than stellar. TRY THIS: Try setting aside time each day to write. Just a mere fifteen minutes a day can lead to two quality posts a week. If you simply lack the time or the skill to create good content, hire a writer to create it for you. Not Enough Traffic – Lack of traffic is one of the most common problems bloggers face. It can be defeating to take the time to write and publish an article only to feel like no one is reading it. And in a sea full of options to choose from, it can be difficult to make sure people chose you first. TRY THIS: Use the latest tools to try traffic to your site. This could mean optimizing for search engines, guest blogging on another site or even increasing your presence on social media. Need assistance with writing blog posts but don’t know where to turn to for help? Consider Grand Marketing Solutions for all of your blogging and marketing needs. We have experience in not only curating quality content but also sharing that content on social media for maximum exposure. 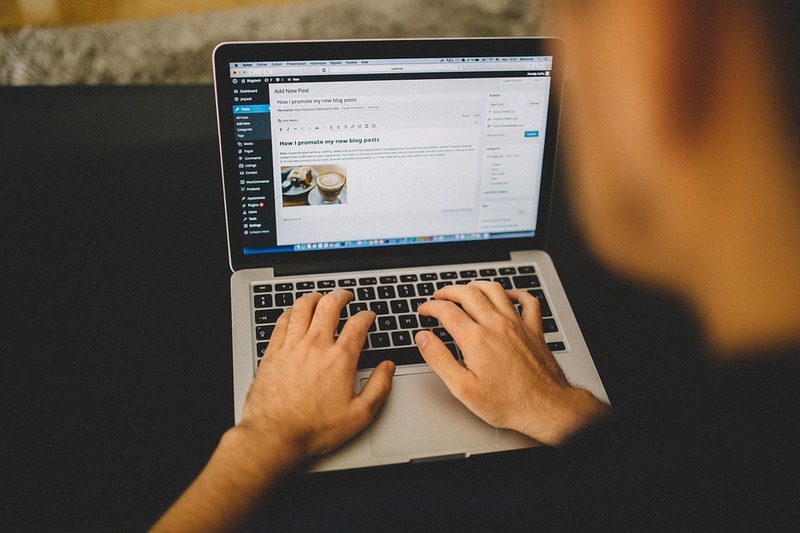 Let us help you stand out from the crowd with our proven blogging services. Contact our team today!